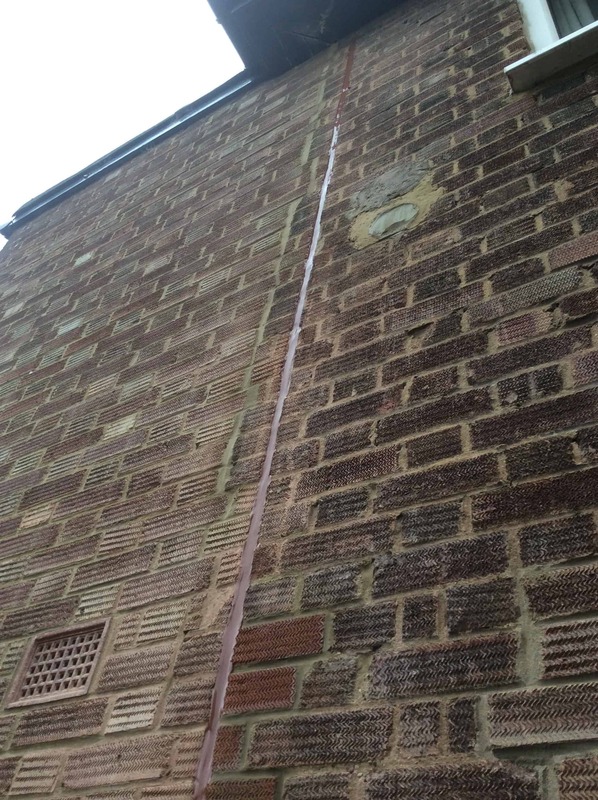 London Structural Repairs were asked by a structural engineer consultant to create a movement joint to a property in South East London, which was suffering from thermal cracking. Our skilled operatives cut a slot in the brickwork and made good the surrounding bricks then used backing foam and appropriate mastic to create the movement joint. Movement joints are often required to provide a break in extensive spans of masonry or in instances where Thermal Movement has caused extensive structural damage which requires remedial Movement Joint installation. Thermal Movement is a growing cause of concern with our ever changing weather having adverse effects to our masonry by causing the expansion and contraction of masonry. Bricks and mortar have extremely high compressive strength and can with stand extremely high downward forces but unfortunately bricks and mortar are relatively low in tensile strength so under expansion and contraction unfortunately the structural integrity will be lost. Thin vertical cracking will appear and if Movement Joints are not installed unfortunately further cracking will occur which could result in catastrophic loss of structural integrity. The introduction of Movement Joints is carried out by cutting a slot through the external skin of masonry to a predetermined width with horizontal slots chased into the mortar for the installation of slip ties in cavity walls. Movement Joints consist of a foam backing cord installed in between the masonry previously cut and slip ties installed to resist against wind forces ensuring that structural integrity remains whilst the Movement Joint installation remains. In your property is suffering from Thermal Movement and requires an experienced specialist contractor to design a free no obligation specification and quotation be sure to contact London Structural Repairs today and arrange your free survey.